We know you are extremely nervous and excited. You are going to say yes to the love of your life and start your married life which will last a life time. Your wedding day almost arrives and you should complete your last things to do. To avoid bad surprises on your wedding day, this article may be helpful for you. You can complete your to do list and check your wedding plan only in few days. Maybe you should have tried your sister’s white shoes before buying a new one. Maybe you should have seen the musicians before the wedding. Is there something that you miss? How is your honeymoon reservation?..etc. There are lots of details which occupies your mind and make you lose your sleeps over. We thought instead of you and make a list. So you can sleep well and be the best bride ever. We prepared a list about the things you should not forget before your wedding. We want you to have a sweet conversation with your friends about your wedding while you are drinking your coffee and to have romantic last engagement days with your fiancée without wedding stresses. The most is gone and the wedding is yet to come, now is the time to relax, spoil yourself and to have fun. A good wedding planner is the key to a perfect wedding. Let’s check these 21 items now. Make your wedding’s rehearsal. Try your wedding dress, your accessories and jewels. See how your appearance will be on your wedding day, be sure that you feel confident and happy with your outfit. You should certainly at least try once the shoes you will wear on your wedding day. Make sure that the heels are solid and make sure that you are comfortable with them. For example spend 30 minutes in your wedding shoes, dance, jump, walk and be sure that you choose the right shoes for your wedding day. 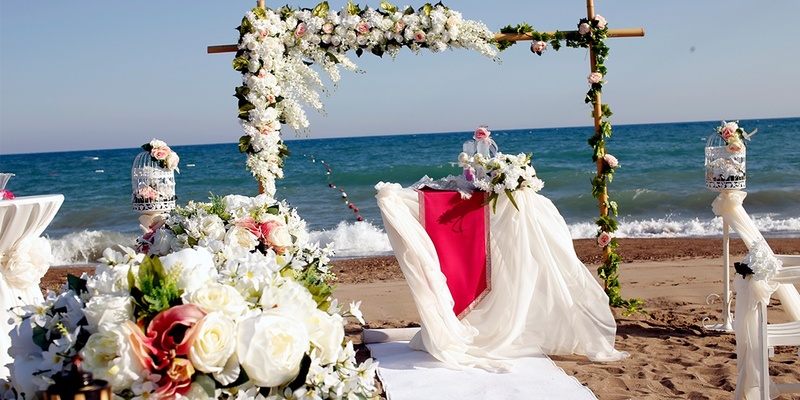 You should check your to do list again with your wedding planner Wedding City Antalya. Ask if they can help you for the last things before the big day. It is a perfect time to have another look to your to do list, to see what remains unfinished or have not started yet. It is also a good time to start the things that you have not started yet. Be sure not to have any important business, project or meeting on your wedding week. If you complete your to do list you will be very comfortable on your wedding week. Try to sleep earlier than your usual time on before your wedding week. Try at least to lie down quietly, read your book and listen relaxation music and calm your mind soul and body even if you can not sleep. More sleep and rest will be back to you as a shining skin, and a day full of energy. Write notes to each other with your partner for your wedding day. Think about your future married life and what it means to you to get married and write your thoughts on paper. Read your words loudly. Be sure that you are sure from yourself. Practice as you are reading in front of a crowd. In wedding preparation period, you will get lots of e-mails about your wedding. From your relatives, companies, sellers.. The expectation of an answer from you will make you anxious and hectic. You should answer them all at least one week before and do not leave it to the last minute. Do not deal with e-mails on your wedding week. Prepare your honeymoon suitcase if you are planning to go to a honeymoon right after your wedding. In this way you can save yourself from preparing the suitcase on your biggest day’s morning and you can start enjoying your honeymoon. You will also avoid forgetting something on the last minute. Your partner’s family is also your family now. Visit them, talk about your mutual desires and needs, Have a conversation with them and ask their support for your wedding organization. They will do it willingly. Choose one person to make a speech on your wedding day to all your guests. A speech about wedding couple will please everyone. The person who will make the speech can be a known and respected person or maybe a couple. Make sure the speech is ready and rehearse it. There will be visitors after your wedding day. Cleaning is a difficult thing to do after wedding. Moreover if you are planning to go to honeymoon you can feel in a holiday mood also. Before your wedding day you should clean your apartment in which you’ll live with your partner after wedding. Intensity and tempo starts weeks left for your wedding day. Try to enjoy these days which are special for you and your partner. Create special moments and places in which and where you can be alone together. You should make a test with the rings to see if they fit your fingers or not. Negotiate with someone from your family to deal with the presents which will be given to you on your wedding day. This person should also take the presents to your house. On your wedding day you will be so busy to organize this process. Talk for the last time with the people who are going to help you on your wedding day. Make sure that everyone knows to be where and when and for what work. If necessary, prepare a to do list for your helpers. On wedding day you should go lots of places like hair dresser, hotel, wedding venue, marriage ceremony venue and your house. Find a vehicle to help you during the wedding, before and after. This kind of service will make you feel comfortable. You should have some alternative clothes to wear during wedding preparation and after party. Ask a friend for being responsible for important items like your guests book, bridal bouquet your decoration and objects. If there is no one responsible for these objects, they may be in the garbage next morning. Arrange a self-care day with your bridesmaids and mother. It will be perfect for you to have a relaxation day before wedding. Do not forget to drink water in this rush. Drink plenty of water. Your body will be free of toxins and your skin will be healthy and beautiful. Be sure about your guests’ decisions on arriving your wedding or not. You should know about the definite number of guests and inform the wedding venue and your wedding planner wedding city Antalya.